Starting with a new game can get confusing and frustrating when you are trying your best to level up or compete with other gamers. 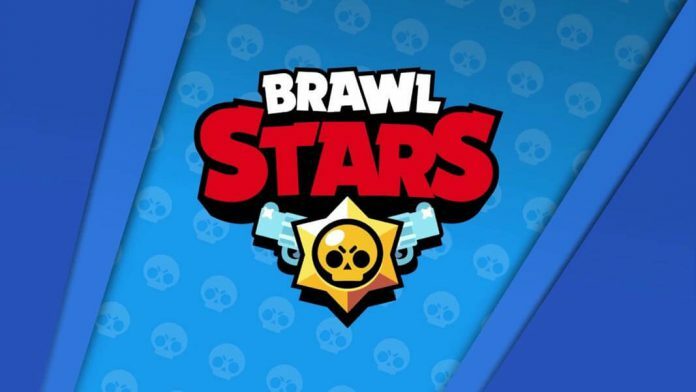 If you want to optimize your performance and win against your opponents whenever you play, read on this Brawl Stars guide for useful tips, hacks and tricks to get you ahead of the game in no time! 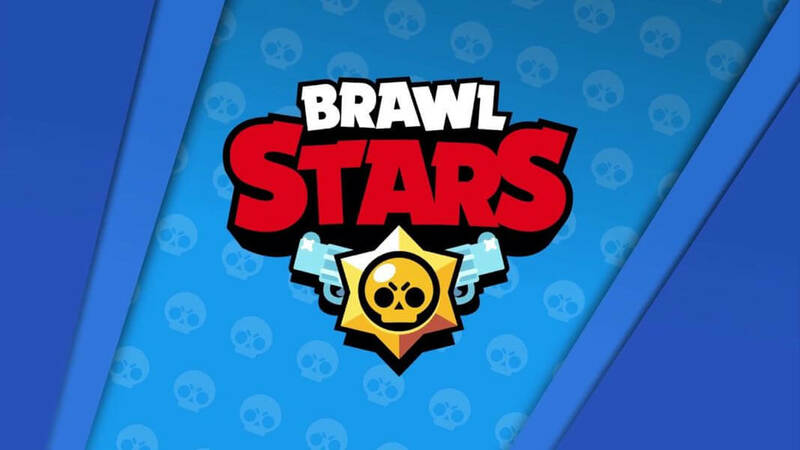 Brawl Stars was launched with a 2.5 million registration but exceeded the expectations to 5million, and it is predicted as one of the most promising game worldwide. 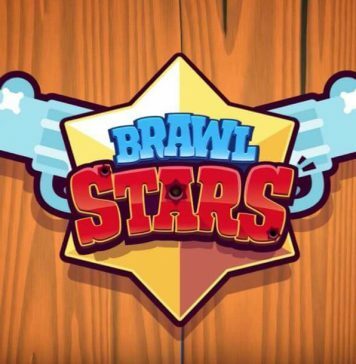 Brawl Stars was created by the same creators of Clash of Clans, Boom Beach, Clash Royale and Hay Day. It is an online mobile battle arena game that features over 100 characters to choose for each battle, or simply put “MOBA”. The game consists of players using strategic fighters to eliminate enemies and dominate the arena through different stages with different goals for separate levels. Handling your controls is the first step to making progress. The virtual joysticks on both sides of the screen help you to manoeuvre the character in any direction. The virtual analogue on the left of the meta screen can help you rotate the figure. You can launch attacks by using the button on the right of the screen. You can swipe the badge to target an area and tap it to attack instantly. At the battle ground, you will find that the characters have green or red bars over the brawler’s head. These bars indicate the amount of attacks you can launch in one go so keep an eye out for these bars before exhausting your attacks. If a brawler has three bars, he can attack only three times, and once it is over, he has to rest for the bars to fill up again while accomplishing other missions or hiding to regain health. They are the primary means of exchange in the Brawl Stars. They are acquired from Trophy Road Achievements, Shops or Brawl Boxes. They can be used to upgrade Brawlers and for buying daily gifts from the shop. Use it to buy deals such as Brawl Boxes, Key Doublers and Brawler Skins. You can get gems purchasing them or exchanging them at the shop or from Brawl Boxes. There are two kinds keys: the standard key and the Star key. The regular key opens up usual boxes, and the Star key opens Big Brawl box. The keys are available in the game, and you can attain them by performing in various events and checking into the game on a daily basis. Keys are also granted for first time players in a new event. Keep yourself alert and active to gain essential keys. In Trophy Road, you need to unlock different events and level up, and for that, you need to collect Trophies. You have to collect Trophies to unlock certain levels of performance and to level up. Trophies are given to the winner in each battle. There are different types of trophies for each character. High ranking brawlers gain lesser trophies when they win and lose big trophies when they lose a match. Brawlers are rewarded with ten keys for ranking up. They can be purchased in the shop to the multiply the number of keys you get when participating in an event. It is used to gain health and launch stronger attacks. Each Brawler has to score some power points to move up to the next level. You can collect Power Points from Shops or Brawl Boxes and use them to level up by paying in Gold. There are different types of items in each Brawl Box: Coins, Power Points, Booster, Gems, etc. After reaching maximum level of all Brawlers, Power Points will not be awarded anymore. You will receive Coins once a brawler reaches the maximum level. XP or Experience Points are gained in every level. They are permanent points that you cannot lose like trophies. When you level up your XP, you will receive more power keys to open Brawl Boxes. You need tickets to participate in Special Events. With every new special event, you will have two free tickets. The number of Key rewards, which you receive for participating in a match, is determined by multiplication of the numbers of tickets that are spent for that match. Leader Boards represent the top 200 players from across the globe. To get to the leaderboard, you have to collect the maximum number of trophies. To dominate the game, you have to understand the different kinds of game modes and strategies ways to achieve your objectives. For example, in Shown Down mode, you have to be the last one standing to win the game whereas, in Gem Grab mode, your goal is to grab and hold the gems. Here is an overview of the different game modes. The primary objective of this mode is to destroy the other members. There will be ten Brawlers including you. You can perform different methods and weapons available to destroy and win the game. Poison gas will be released in the arena to huddle the Brawlers to a specific area and challenge each other. There are Power Cube crates that you can destroy to boost health to a maximum of 400 and improve attack power by 10%. In this mode, the team has to collect ten gems within the 16 seconds countdown to win the game. If a brawler who holds a gem dies, his gems are lost and available for grabs. The gems can be collected in the Crystal mine at the centre of the map. Each team will have three Brawlers. The team with the most gems within the countdown wins the game. Heist mode is where you raid the opponent’s safe or deal maximum damage the the safe to win the game. Heist is a battle of 3 vs 3 players in each team. The team that causes most damage to the oponent’s safe wins. If no team destroys the other’s safe or cause damage, it ends in a draw. The team is divided into three-vs-three-match. The objective is to score two goals to win. You can attack in the middle of the field by kicking it and also by blocking the opponent from scoring a goal. The objective is to kill the opponent Brawlers. The team which gains the most stars wins. It is also a three vs three battle. Each brawler begins with two stars and initially increases leads. But if the brawler dies, the stars are restored to two stars. The battle lasts for 2 minutes and 30 seconds. Each player has to team up with another player to fight a battle. There will be 5 teams battling each other. You can obtain Power Cube (HP and Attack) by breaking crates which will be divided within the members of the team. You have to destroy the other team to win. Those are the different game modes that you can select to play. Depending on the objectives, you have to come up with some strategies or plans to win and level up. There are many types. Yet, we have mainly four events in the Battle tab. Daily Events are available every 24 hours. These events include different game modes with different maps that change periodically. Special events are accessible regularly. They are open weekly, and special events include game modes such as Boss Fight and Robo Rumble. You can unlock all events by gaining as many trophies as possible. You can get free keys for the first time by pressing on the games and wining the battle. Creating bands is one of the best ways to play the game with your peers. You can share strategies and battle with multiple friends. You can chat, share strategies, brawl together. The total number of trophies of each Brawler in the band have determine the Band Trophy. 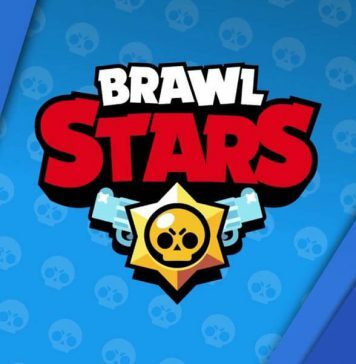 Each group can have a maximum of 100 Brawlers. You can create a new room for players in your list and invite a team or friends to fight with you. Now that you are familiar with the game, the goal is to win and level up as fast as possible. So here are top 10 Brawl Stars tips and tricks for beginners. Remember that you must grab gems in Gem Grab mode, or be aggressive in Brawl Ball. Knowing your objectives will guide you in selecting the suitable Brawler and gain an advantage in the game. Since every Brawler in the game has his or her Strength and Weaknesses, Speed, Attacking range and Special powers. When you know which brawler to use for the different game modes, it becomes easier to attain your objectives. For example, El Primo is a dominant wrestler, but he is slow. Whereas, Colt is a long-range shooter with Speed but Weak in health. Knowing the pros and cons of the powers can help you draw good strategy when playing. There is a limitation for attacking so you must practice how to dodge the attacks from the enemies. Avoiding attacks is vital in the game. You don’t want the attacks and super attacks from the enemies to be fired on you. Change your movements and don’t stick to a particular style of moving, attacking or dodging. Your enemies will learn your pattern and plan their attacks accordingly. There are different styles that you can use to keep your enemies confusing. Use different patterns depending on the speed and power of the Brawler you are using. Doesn’t work when you are near an enemy. When you challenge a long-range shooter, the Zigzag movement will waste the enemies attack. Zigzag movement is effective when attacking Long or Medium Rangers. Most effective for Rinochet, Brock, Piper, Colt, Spike, Jessie. Bad for Daryl, Bull, El Primo, Shelly, Poco, El Primo, Mortis. Feinting is tricking the enemy by moving in a direction so that they launch the shot at your direction. When they launch an attack, divert towards the opposite direction. Long range shooters and Lobbers can be targeted. Works best to when fighting Jessie, Colt, Brock , Dynamike, Piper, Ricochet, Barley. You can feint as many times but be unpredictable. Every attack can be dodged if you practice this move well. You have device an oval pattern and turn the other direction. Use it as a last resort choice. This is the most challenging way to dodge but also very useful. Do not use this method if the opponent tap and shoot. A smart choice is to make your movements random so that enemies cannot known ahead what you do. If your Brawler is running low on Health and Attacking bar, rest, recharge and fire back. If you keep fighting when your Brawler is weak, you will be exhausted and take longer to restore. If you notice that your player is weak or damaged, retreat and rest or hide in a bush so that you can make a more powerful comeback sooner. There is a red and blue circle around your opponent and your Brawler. Each circle indicates the colour of your team. It will show as other Red or Blue circle around your Brawler and the opponent when a special attack is sent to the enemy. When the enemy’s Brawler is preparing to shoot a special attack, a yellow ring will surround the enemy. So, be alert about it to prepare your moves accordingly. You can also use the circle to threaten your opponent by holding on the special attack and keep on moving to and from so that you can gain area control. Before you start playing with real players, you can begin practicing with bots which are placed for the same purpose. The option to practice the game with bots will help you understand your Brawlers and prepare you for the different types of attacks that you could face. When you unlock a new brawler, invest some time with the bots to get the hang of the brawler’s strength and weaknesses. Once you have won with the bots, you will be more prepared and ready to face the real players. Since the Brawlers will be moving a lot, and you will have to shoot and attack from different directions, practice on aiming the right target so that you do not waste your shots. Practicing accurate shots is especially vital if you use a long range shooter. So if you want to be ahead in your game, learn to maneuver the targeting so that your shots are most effective every time you launch an attack. You can practice accurate shots with bots too before you go to the battlefield. Arranging your team in the same situation will make you vulnerable to attacks. For example, Throwers have a massive area of damage, so if an enemy’s Thrower attacks one of your Brawlers in a group, it will have a significant impact on your team. You can avoid being trapped in storms by Mythical Brawlers if your team spread out in different areas and at safe distances from each other. Since majority of the events are completed with your teammates, try to communicate with the team members. So, you can have better strategies and win more battles. Show support to your team members and don’t forget that this is not a single player’s victory. The team as a whole is responsible for each other’s wins and loses. Protect and defend and have each other’s back. There are plenty of obstacles in the field, and they are there for a reason. Use the rocks and bushes to hide and block shots fired at you. Most Brawlers cannot attack past these obstacles except Lobbers. So, while using barriers to your advantage, you should also make sure you know which type of Brawler your enemy is using too.